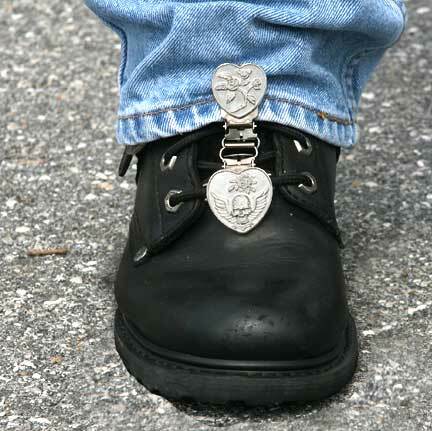 Our Goal Is To Keep Your Pants Down. 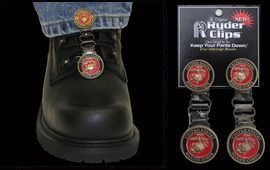 Get your laced boots today. 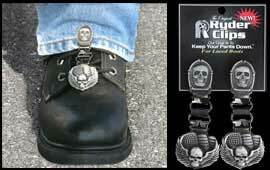 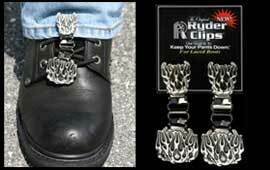 The Original Ryder Clips Boot Stirrups for Laced Boots. 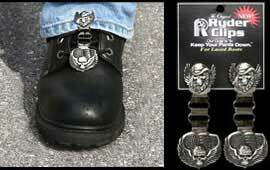 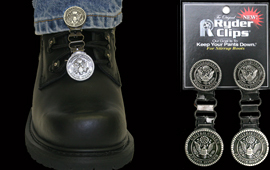 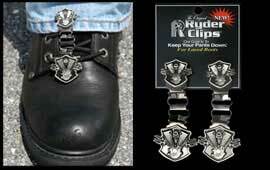 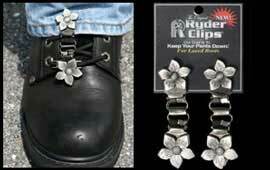 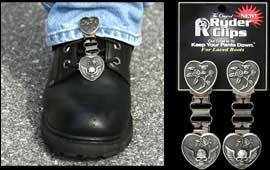 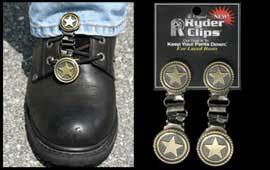 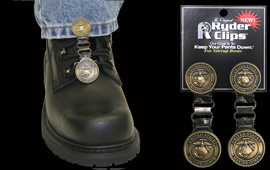 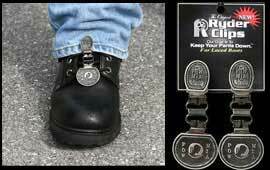 The patented Original Ryder Clips boot stirrup boot clips are designed to fit your laced boots. 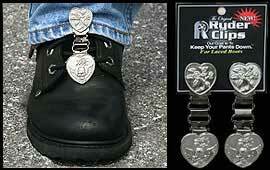 Simply clip the stirrup boot clip to the lace of your boot, then clip to the cuff of your pants.